National Pacific Insurance (N.P.I.) 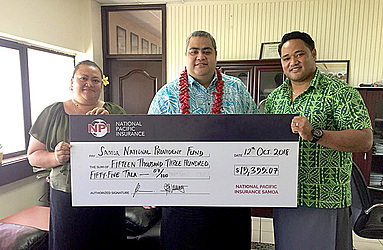 has paid its insurance alliance partner, Samoa National Provident Fund (S.N.P.F. ), insurance commission of $15,355. In the handover ceremony, N.P.I. Branch Manager, Saueleele Ah Wong, thanked and acknowledged S.N.P.F. for the close partnership N.P.I. has had with the bank for over five years. This partnership reinforces the importance and value of insurance for clients so their assets and things that matter to them, are protected. “N.P.I. looks forward to continuing the great partnership” says Ms. Ah Wong. N.P.I. 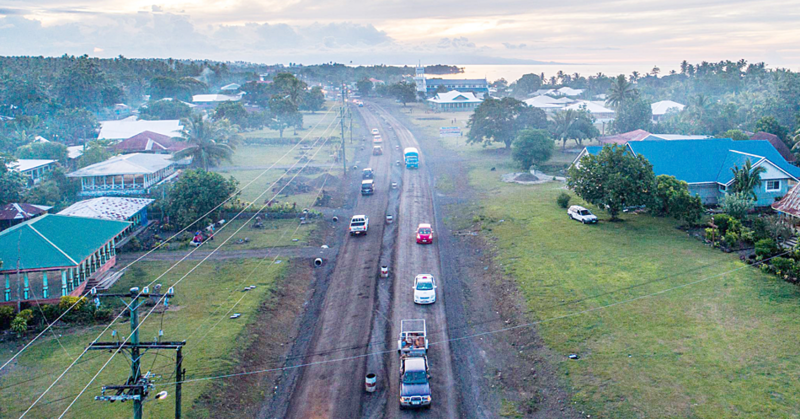 is the leading insurer in the Pacific and has been part of the Samoan community for over 40 years. N.P.I. 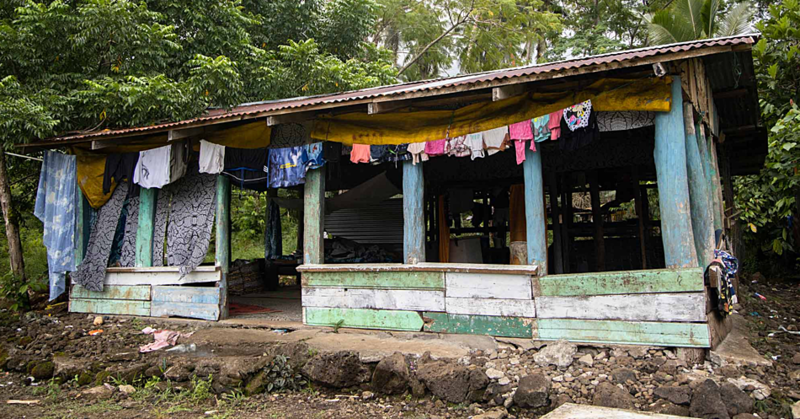 is proud to have helped many customers through fires and natural disasters and is committed to supporting and working with our communities into the future.